Never lose your items. 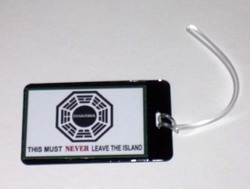 The front of this tag features the Dharma logo and instructions to NEVER remove it from the island. 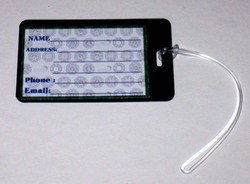 The back has a customizable insert.